My betting season in a microcosm… I picked the Steelers, laid the points, had as a best bet and put some coins on it to try to perk up the pain from the Indy wager earlier in the day. The Steelers were leading 23-7 at the half, and it could’ve been bigger than that…and I felt like this was money in the bank as I watched the Steelers dominate. Slowly but surely the Steelers started stumbling around in the 2nd-half, the Chargers started to move the ball and get lucky scores (the Joe Haden end zone pick that Sean Davis ran into/tackled him and dislodged the ball into the air…right to Keenan Allen for a TD was delightful). The Steelers let the Chargers back into the game, Pittsburgh got down 30-23 (16 unanswered from LAC)…but answered with a late TD…however, they could not stop the Chargers drive late for a field goal. A shocking loss at home…in one of the most bizarre weeks of football in 2018. Pittsburgh falls to 7-4-1 and not only falls from playoff bye week hopes…they just let Baltimore right back into the division title hunt. The Steelers have NE-NO Weeks 15-16. If they butcher those games, they fall to 6 losses. If Baltimore wins out, they’d finish 11-5 and push past the Steelers. Looking at the schedules there is no way it’s happening. We project the Steelers to win the AFC North at 10-5-1…and may be hosting the Chargers again 1st-round. The Chargers are headed to a showdown with the Chiefs in Week 15 with division title hopes on the line. Even if LAC wins that game, the Chiefs own better divisional record tiebreaker, so LAC has almost no shot at winning the AFC West unless the Chiefs lost somewhere else in addition to losing to the Chargers…and LAC never loses again. LAC at KC Week 15 is a likely Chargers loss and they project to finish 11-5 and the #1 wild card and their Week 17 game be meaningless…which might help Denver (Week 17 opponent) backdoor into the other wild card spot. -- As of the post-game, the James Conner (15-60-2, 3-14-0/4) injury looked bad. Like he might be out 1-2+ weeks. As of midday Monday the claim is ‘not bad at all’, will probably play Sunday. Thus, a giant vat of cold water dumped on the Jaylen Samuels (2-5-0, 3-20-1/3) uprising that was about to take place. This was super-exciting for about 12 hours. Now, it’s just intriguing. You know how I feel about Jaylen – he’s Le’Veon Jr. and better than Conner all-around. This we know. However, the Steelers are married to Conner, so it’s going to take an injury to break this open. I thought we had it here, but now it looks ‘shaky’ – which is good for you to have less people fighting to get Samuels (and many of you have been sitting on him as a Conner handcuff as we pushed several weeks ago). It’s also good if you have Conner because maybe Jaylen isn’t coming to steal half his thunder/trade value in the offseason away…yet. Samuels comes across the middle on a simple crosser, gets an easy dump pass right over the middle about 10 yards from paydirt -- with the defenders playing back in end zone prevent. Samuels bobbles the catch for a second. Slows to gather it in. Defenders are all racing in after him and have him surrounded for a short gain. Samuels sees it, and just hits the jets, from a near standstill, and runs to the sideline from middle of the field and outruns all of them and angles in for an untouched score. A very low-key BRILLIANT display of athleticism. …something James Conner would not have been able to do. Remember…Samuels was a star TE/WR in college, and also a very good RB and wildcat QB. His primary gift, experience is his receiving skills. 2) Remember when you were all looking ahead to playoff matchups for your RBs in like Week 7, and asking about this-or-that? Please stop with the RB hysteria. Here we are, and Jaylen Samuels might be an RB1 this week. Jeff Wilson might be. Justin Jackson enters the discussion. Spencer Ware last week. RBs are disposable diapers in fantasy. There’s Gurley and Elliott and then 30-50 random marbles bouncing around…and fresh RB1 or RB2 plays popping up every week, more and more as the season wears on. This is why, after securing my hoped for RB1 in a redraft, I may not take my second RB for several rounds. I don’t care because I know my best-laid RB plans are changing with new info every week. I’ll take undervalued WRs, QBs, TEs early and let everyone else fight over their 2nd and 3rd RBs the first 30-40 picks. 3) Ummm…you play in a Yahoo league? Remember us (and most sites) talking about Samuels as a stash because he’s classified as an RB/TE? Ummm…remember how you have huge issues at TE (some of you)? You might use Jaylen Samuels as your starting TE for the ROS…over Brate, Burton, Engram, Rudolph, etc. You know if Conner is back, they aren’t going to push him hard against Oakland if they don’t have to. Great time to get Samuels more work. Samuels could have 3-5 carries and 3-5 targets as Conner’s backup this week – and he could be your starting Yahoo TE. What if Conner is out…and Samuels is starting for PIT…and is your starting TE in a playoff game? How dope would that be? -- The Jaylen-Conner soap opera deflects attention from another RB uprising in the same game – Justin Jackson (8-63-1, 1-19-0/1) just happened. Far superior runner compared to Austin Ekeler (13-21-0, 5-22-0/8)…that was obvious watching this game. Jackson essentially won this game for LAC, saving their offense when it was dying with Ekeler. I believe Gordon’s injury is a lot worse than speculated and that he’ll be out for another few weeks. If I’m right, Jackson has just earned the lead role (temporarily). He’ll split some with Ekeler…but Jackson is what Anthony Lynn wants, stylistically, not Ekeler. Ekeler would play enough to dig into Jackson’s upside, whereas no-Conner means Jaylen is an easy RB1. Also, the second Gordon can hobble out there – he’ll make JJ go bye-bye. A bet on Jackson this week is a bet that Gordon can’t go for a few more weeks. I bet LAC holds Gordon out for sure this week because they face Cincy, and because JJ has emerged. They can buy Gordon more time to get right for the KC game Week 15. Jackson is an RB2 with upside for Week 14, I believe. -- I don’t know how Keenan Allen (14-148-1/19) does it. What do coaches study all week working 25 hours a day anyway? How is Keenan Allen always played off of by DBs and making catches with no one in camera shot of him. Are we really that afraid of Travis Benjamin roaming elsewhere? Allen’s back to doing what he did in 2017…a WR3 all season then after Week 10-11-12 he has a massive spurt to push him to WR1 levels for the season overall, but it’s like 3-4 awesome games and 10+ ‘meh’ outputs per season. 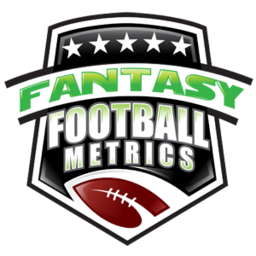 -- Ryan Switzer (2-9-0/2) isn’t becoming anything for fantasy, as I thought was the case (that he wasn’t) last week, despite his sweet targets/catches. He’s just a bit player not the new Edelman for Ben. -- Another week, another Jatavis Brown (12 tackles, 1 PD) leads the team in tackles event…like he’s done every week since back to starting. -- L.J. Fort (12 tackles) has been a Steelers backup LB all season. He’s bounced around at least 4-5 teams since 2013…never sticking anywhere long. He didn’t start here but played most of the snaps and was amazing. Like, totally eye-catching. I want to see if this was a blip or something has activated here…but he’s on the radar for Week 14 for sure. Week 14 LAC-DST v. Jeff Driskel is a good. Week 16 vs. BAL may not be bad either. Week 15 at KC is a no-go. The LAC passing game should be aces in Weeks 14-15…not so much that Week 16 with BAL. The PIT-DST has a nice matchup Week 14 with @OAK but then done with Weeks 15-16 NE-@NO. Passing game should be fine all three weeks ahead, but NE-NO are crafty defenses…Ben may have some struggles in spots.